From Monday onwards temperatures will be generally much colder than previously seen, especially in the south. Night frost are highly likely and could become widespread with some areas even getting snow. Met Office meteorologist Martin Bowles said: "Temperatures will be below average and the top of the mountains in northern Scotland might well get snow. "There will be some light frosts quite widely around the country. "We will start to get an east wind from Poland and Russia, so while the official temperature is 7C, it will feel like 2C or 3C sometimes. 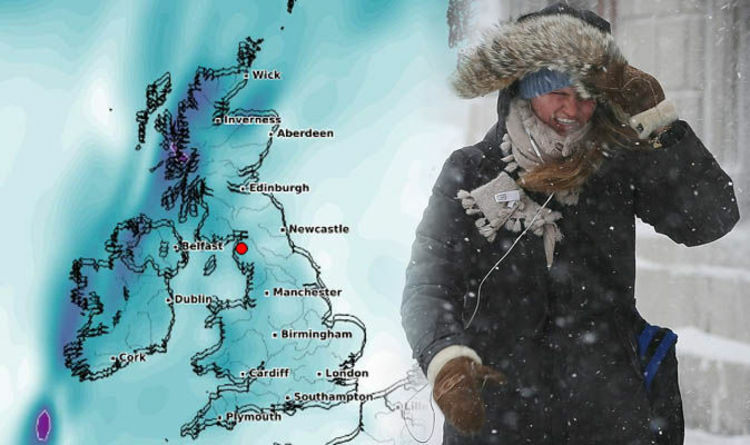 “It will be quite cold as a low-pressure system moves in the UK will 'feel more like Moscow'." Chief meteorologist for Weathertrending John Hammond also agrees the temperatures will feel like the Russian capital. He said: "This week’s balmy southerly winds are set to be replaced by chilly easterlies by early next week - more like Moscow than the Med." Similar conditions is likely to continue into the very end of the month, with unsettled weather especially forecast for the west and south. “We are expecting this to bring some early winter weather with heavy snow and very cold winds in the north and a risk of wintry showers even across southern Britain. However, the Indian Summer Britain has experienced this autumn will reappear before the arctic air blows in from the east next week. As the weekend approaches, temperatures with highs of 17C this Friday can be felt in parts of Wales and Scotland. Mr Bowles said: "This week will be quite mild with temperatures a few degrees above average. And bookies have slashed the odds for an even warmer week. According to betting company Ladbrokes, a 7/4 shot predicts temperatures could reach 20C. Alex Apati of Ladbrokes said: "The sun is refusing to go away just yet and we could see temperatures reach 20C before the week is out." But Brits should make the most of the extended Indian Summer, as it's now just a 3/1 shot this goes down as the coldest winter on record.